Uneven heating – it’s a complaint we often hear about in the wintertime. Uneven heating causes temperatures throughout the home to be unbalanced; some areas will be at the perfect temperature, while others can feel like they aren’t receiving enough heating. While there are several possibilities which could cause uneven heating, the issue often results from an air filter or duct issue. The air filter needs changing. If you continue to operate your furnace with a dirty filter, that filter will restrict airflow through the system, leading to uneven heating. Furnace filters should be changed every three months at least, but in the winter, it may be necessary to do so more frequently, as you’re using your furnace heavily during these months. The air filter is too efficient for the furnace. Yes, an air filter can be too efficient for your furnace! Filters with higher MERV ratings can’t always work with your furnace without the system being calibrated accordingly. If you want to use an ultra-high efficiency filter with your system, a furnace technician will need to calibrate your system for compatibility, or else the filter can stop air from flowing correctly through the system. Or, you can purchase a lower rated replacement filter to try – a MERV 8 filter still offers excellent efficiency, and is likely to work with your furnace without recalibration. The ducts are leaking. 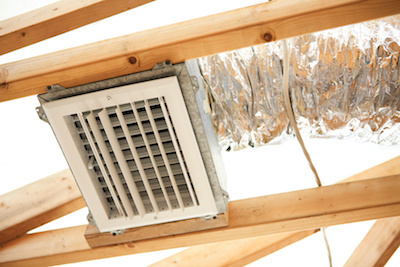 Duct systems which aren’t sealed properly can result in as much as 30 percent energy loss. Heat can exit the duct system, causing the interior rooms of your home not to receive the intended amount of heating. If an area of the home has duct leaks in the runs connecting it to the main trunk, that area will feel cooler than areas which are connected to properly sealed ducts. Climate Control will evaluate the entire duct system to identify leaks, and seal them with proper compound to keep heating energy inside the ducts, and flowing into your home properly to provide even heat. If uneven heating is a problem in your Lexington home or business, Climate Control will provide the professional assistance you need to improve comfort throughout your home. Our NATE-certified technicians perform thorough assessments of furnaces and duct work to pinpoint problems, while offering quality repairs and solutions to correct the issues you face.